Since nearly 3 decades is PLUG-IN one of the most innovative company for industrial systems solutions in Germany with the main focus on the continuous growing European Market for ruggedized and railway components, test and measurement products, Embedded PC ans Embedded Box-PC solutions, HI and Display solutions, Single-Board-Computer and Industrial PCs. 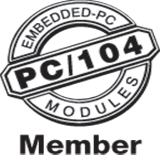 Range of Fastwel COM-modules was extended with a new CPC1311 in COM Express(r) mini format (Type 10). In this case study consideration is given to high-accuracy locomotive location detection systems with the help of GLONASS/GPS. The system can be used both in mainline railroad transport and industrial railroad transport enterprises that have their own fleets of locomotives and track infrastructure. NEWS HIGHLIGHTS • Wind River announces that Fastwel has joined the Wind River Partner Alliance Program. • Partnership expands Wind River's presence in the growing Russian mission-critical systems market. • Wind River's software and tools are now available on Fastwel mission-critical hardware.